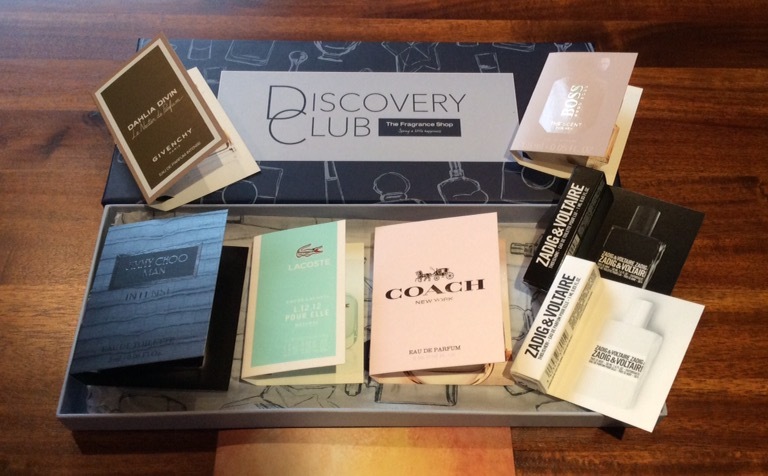 For just £5 per quarter, you can receive a Discovery Club box, filled with samples and classic scents for you to experience, plus exclusive offers, savings and money off vouchers for you to use or share and exclusive previews of upcoming promotions and offers. There is no cancellation fee and you can unsubscribe at any time. 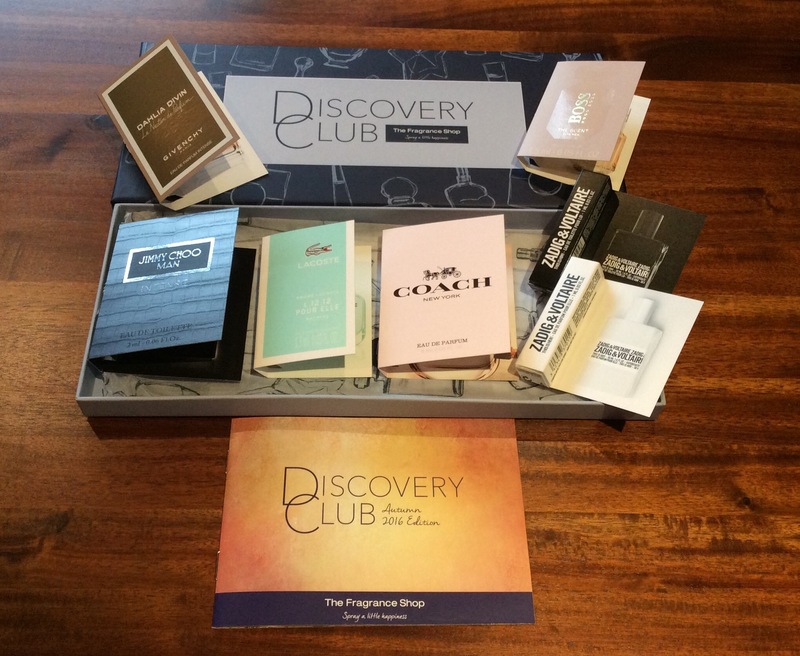 The Discovery Club is the perfect gift when you’re not sure of what fragrance you would like yourself or as a gift, perfect way for you or them to try a number of different fragrances for only £5. 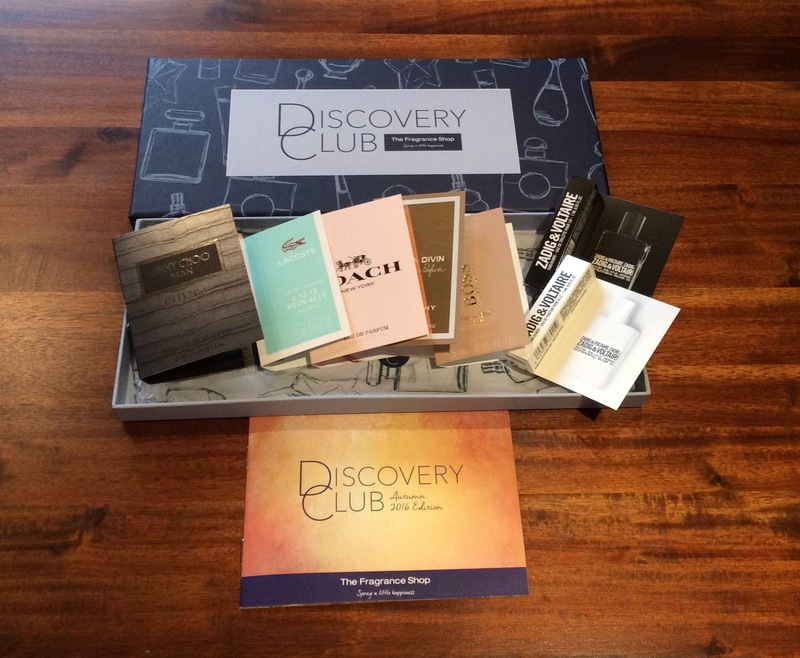 I have been thinking about subscribing for a while but had not got round to it but when a kind friend shared a free first box code I thought this is the perfect time so subscribed last week and received my discovery box today – v fast delivery too. Also for a limited time when you use the promotion code MATE1782 at checkout you can also get your first box free, you will need to register your payment details / 1p to confirm your subscription- just remember to cancel your subscription afterwards if you do not want any further boxes. If this promotion code has ended when you go to purchase your first box just check on line to see if there is another valid one as there are regular offers. 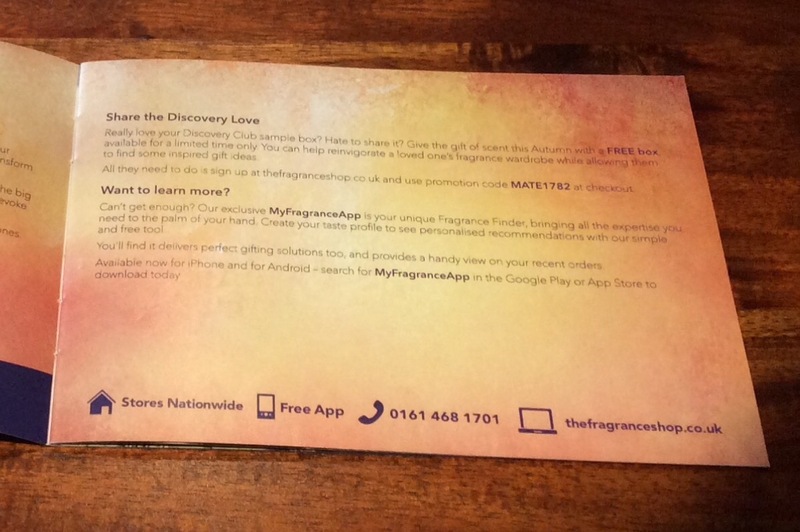 I love this box especially as I got the first one free and I definitely would recommend subscribing especially as currently you can also get your first box free with the above code. Hope this helps – love any comments you may have or love to hear if you have received this box or are considering subscribing. ***** Fab. LOVE LOVE LOVE this one! !